Penny Brownbridge studied politics at the University of Leeds. She converted to law and was awarded a distinction in the Legal Practice Course at BPP Law School. Penny specialises in family-based immigration applications (such as partners, children and dependant relatives), entry clearance, rights under European law and citizenship matters. 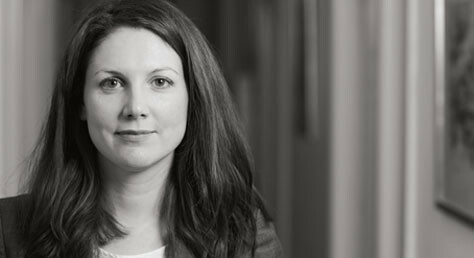 Penny also regularly represents clients in asylum, deportation and human rights cases. She has extensive experience in preparing successful appeals to the First Tier and Upper Tribunals, and in judicial review applications to both the Upper Tribunal and High Court. Penny has worked in immigration law for nine years. She joined Wilsons as a senior caseworker in 2010 and qualified as a solicitor in 2013. Prior to this, from 2008 to 2010, she was an appeals caseworker at the Refugee Legal Centre where she prepared and advocated in asylum appeals. Penny has also worked as a researcher in local government. Penny has held Law Society Level 2 immigration accreditation since 2008. She is also an accredited supervisor.